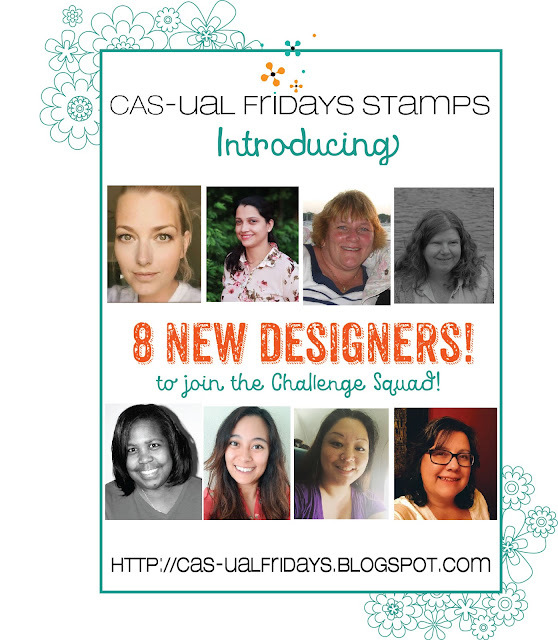 CAS-ual Fridays: Introducing New Girl Fridays! I'm really happy to let you know that Michelle Lupton, Marcia Harrington, Michelle Wallace and Mary Moisan will be continuing for the next term! Yay! But 4 designers isn't near enough to keep you and your mojo delighted so I've invited a whole bunch of designers to join them! These lovely ladies have been keeping this secret for quite a while and I know they are really excited to be able to finally spill the beans! Please visit their blogs to get to know them a bit, and see why I feel in love with their design styles! I feel proud and excited to welcome the new designers to Girl Fridays and wish them all the very best ! What an honour to be on the same page as many of the artists I admire. Thank you very much Michele :) Thank you my dear friends, for taking time out to comment on the blog post, so sweet of you! So proud of you.all the best ishani!!!! !